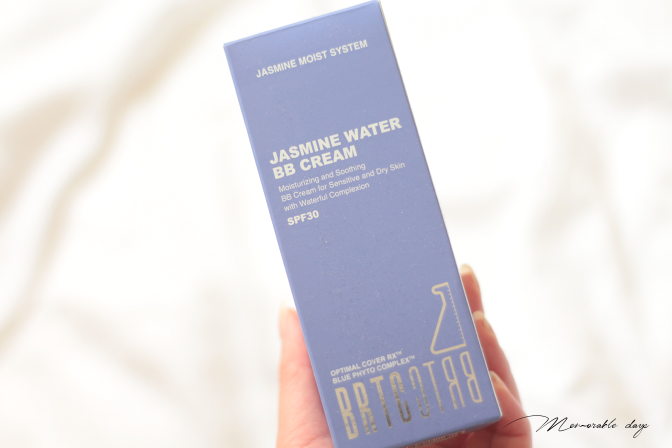 Review: BRTC Jasmine Water BB Cream | Memorable Days : Beauty Blog - Korean Beauty, European, American Product Reviews. 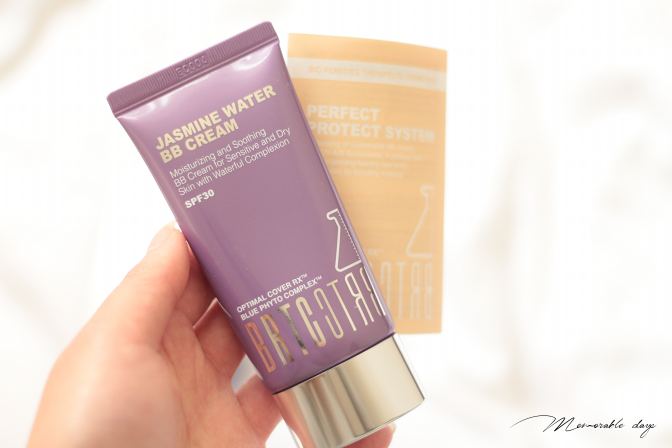 In today's blogpost I'm going to review the Jasmine Water BB Cream of the brand BRTC. I am a fan of jasmine tea so I was wondering how this BB cream would be and if it would have a jasmine scent as well. Read more about it on today's post. Jasmine water BB cream supplies intensive moisture to the skin. It helps to tighten your skin and promotes a healthier and radiant look. This is a triple function BB cream with whitening, wrinkle repair and water replenishment functions. It is for people with a dry & sensitive skin. I have a combination, dry skin type so I'm wondering if it really will moisture my skin. It also claims to have oil control. It has SPF30 and it has 35g of product in it. 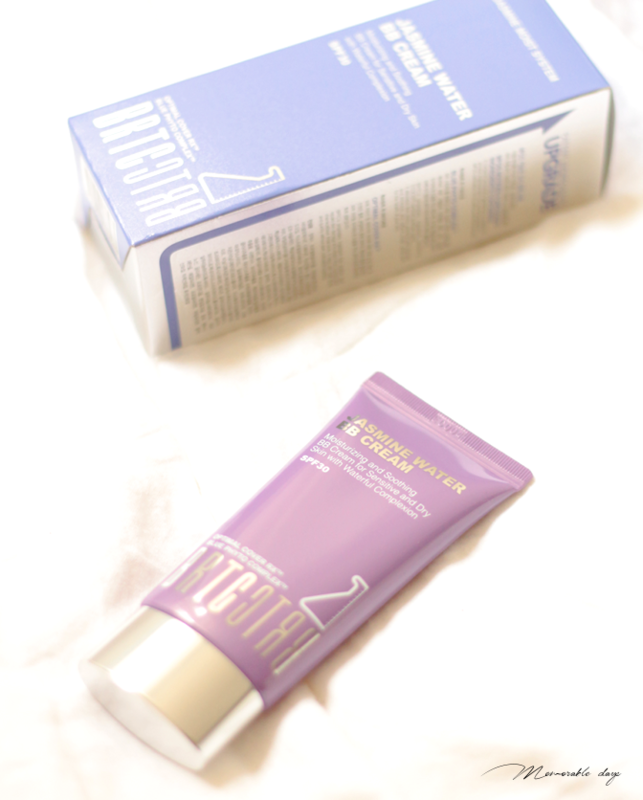 It comes in a purple packaging and in a tube. The opening is small so you can easily squeeze the product out and also the amount as you wish. If you're curious about the ingredients, you can check it out on COSDNA.com where you can also see the safety of the ingredients. Lots of green icons, which is good but also a few which aren't that great. It claims to control oil and moisture the skin. The oil control is average, after 3 hours my T-zone started to get oily. This BB cream is moisturizing, but not enough for my dry skin unfortunately. You can still see my dry areas on my face as well as flakes after application. 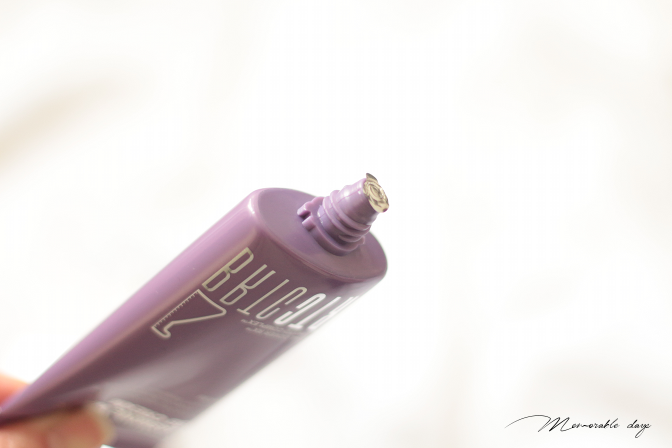 The BB cream has a sheer to medium coverage, but it doesn't feel heavy on the face. It's not the creamiest cream which makes it a bit hard to blend. It has a light scent of jasmine. I do like to drink jasmine tea, but i don't prefer that scent in a BB cream, it's pretty weird in my opinion. As you can see at the right part of my hand, the color is light beige and it has a light pink undertone. I looked very pale as well as pink after I applied it on my face, but that pink tone went away when the BB cream was absorbed into the skin. It has a matte finish too, not radiant. 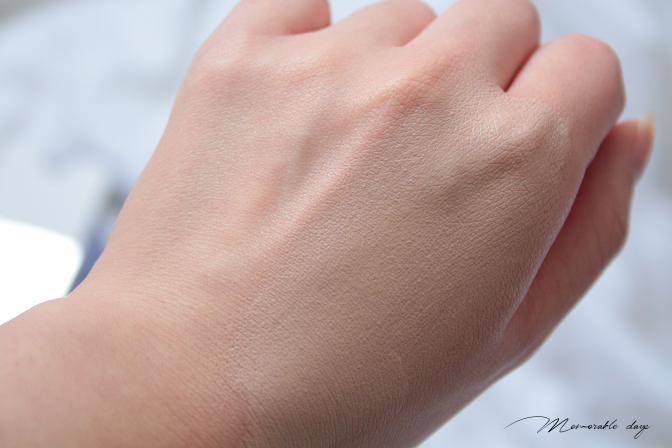 This BB cream is suitable for people with a very pale skin tone. It's sold at sasa.com for $29.50 which is quite expensive for a BB cream to be honest. It's also available at koreadepart.com. Unfortunately this BB Cream didn't suit my skin tone. Also this didn't suit my skin type, having a dry to combination skin, moisture is a must, but I was still able to see my flakes and dry spots which is the last thing I want to see when looking in the mirror lol. I'm not a big fan of the jasmine scent in this product neither. Of course every person is different so if I don't like this product, it doesn't mean you won't like it. If you have a very light and pink skin tone this might suit you. If you are looking for a sheer to medium BB cream, have a normal skin type and love jasmine scented products this would be great for you. I just think it's a pity that this BB cream doesn't suit every skin type and skin tone, so it's only aimed to a certain audience. note: this product was sent by bntnews for review purposes, but this didn't affect my opinion about the products, see disclaimer.